Students interested in breaking into Hollywood are encouraged not to buy the Syd Field books on screenwriting. Instead, read this scathing, informative book by Goldman, Academy Award winning author of Butch Cassidy and the Sundance Kid. 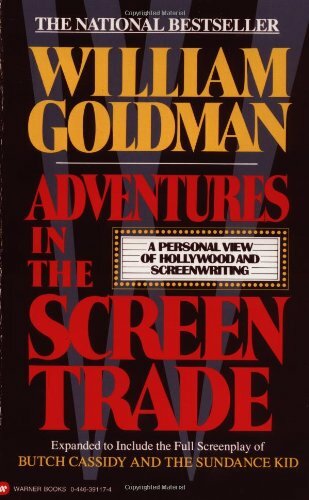 This is the famous book in which Goldman declared that in Hollywood, "Nobody Knows Anything." Goldman goes over Hollywood philosophies, politics, and business strategies. Then he goes over his own screenplay for Butch Cassidy with a fine-tooth comb, and analyzes what made it a success, and what its weaknesses were. This book can both encourage you and put you off working in the movie biz, but it's essential reading.